This entry was posted in appreciation, books, humour and tagged book etiquette, books, geckos, horrors, humour, lending, life, linda howard by taylorgraceauthor. Bookmark the permalink. That’s awesome! I love your comment! Especially the torch and using a tiny crack to read it! That’s hilarious! Great post 😀 Had me chuckling. But you’re very right, I get antsy about lending books now. I don’t understand how people don’t take more care when borrowing stuff from others! Woman after my own heart!! I like that! You can buy it here…*smile* Awesome answer! Lol I’m the same way with books. It horrifies me when I lend books out and it comes back with torn spines. Such a crime against books! 1 and 3 can be accidental, but writing in it? How does that happen without total disregard of another person’s property? I don’t know. It was in pencil but still. I cried when I saw it. Wow, I can absolutely identify with that. I cringe whenever I see someone putting a paperback flat on its back, or even pushing it down to make it stay open. Its spiiiiine! Grrr. My kids know that I get upset when they have food or drink nearby while reading. Oh, and geckos are far too nice. Try snails, or… toads or something. I love your comment! I laughed with it and I think it makes complete sense that you like the ‘much loved look’. That’s completely different from having someone else destroy your book. 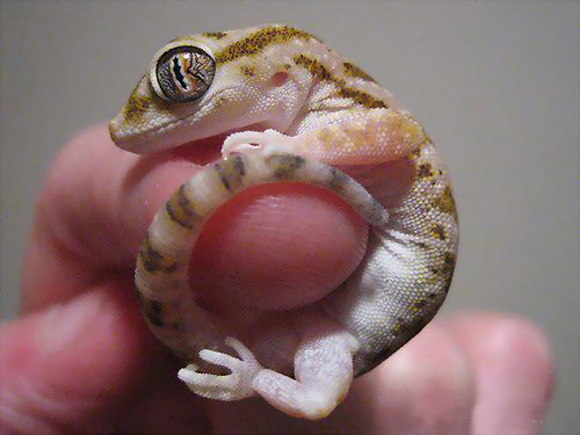 And you’re right, geckos are cute, aren’t they? Toads…ha! No, you cannot borrow my books. Why? They are more important to me than you are. I once lent a prized book to my sister (who was a smoker at the time). She kept the book for several months before returning it to me dog-eared, yellowed and stinking of nicotine. Oh *shudder*. I’m allergic to cigarette smoke so someone else’s smoke doesn’t go well with me. I can so relate! I absolutely loved this post not just for the level of respect we share in the way we like our books to be treated, but also because of the squishable looking gecko. Loved it! There’s a great line by Robert Redford in Out of Africa where he’s telling someone about ending a friendship because they didn’t return a book to him. And the guy asks Redford, “You lost a friend over a book?” Redford matter-of-factly replies, “No, he did.” Priceless. I had a particular soft spot for that little gecko. How cute was he?! He’s apparently a baby gecko…and you’re so right, completely squishable! Oh. I soooooo love that line by Robert Redford! I’ll have to remember that! Awesome comment! Awesome post and it’s great to know I’m not the only one who loves to keep my books in pristine condition. 🙂 Do you ever take the book jackets off hardcover books or cover them in contact paper so they don’t get damaged in your bag or if someone bumps into it? Absolutely!! So true! Wrap up those beautiful covers to preserve them! Great comment! Writing in them! WRITING IN THEM!!!!! Talk about your hubris. P.S. I followed Luther here. Oh, I adored your comment! I laughed out loud because I could feel your horror at writing in the books! Love it! This post is simply fabulous! 🙂 and sooooo true… I’ve never thought of hexing the culprits. Books are treasures, aren’t they. Cheers! Thank you so much!! They are treasures! Thank you, I loved the gecko as well! So many people can relate. It’s wonderful! Oh, what terrible crimes! Shocking!!!! That’s why I buy the e-book version first. I can highlight and write notes at will. Then I get the hard copy (paperback or hard cover depending on how much I loved it) and never have to open it. Ahhh, bliss! But– lined up by genre? You and my OCD husband would have a blast together.